THE GROVE at Victoria Hill! 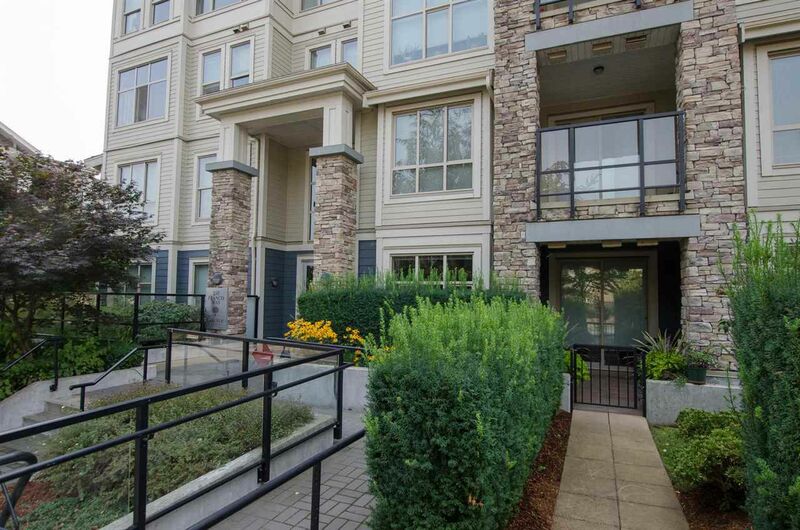 Stunning and immaculate 1 bedroom, 1 bathroom ground level unit with a huge garden patio and a bonus private entrance. This open floor plan offers a spacious kitchen with granite countertops and stainless steel appliances, overheight ceilings with lots of natural light, laminate flooring and a walk in closet with built ins. The unit is complete with, 1 parking spot, 1 locker, and access to the Boiler House amenity centre, with a large party room and kitchen, theatre room and professionally equipped fitness studio. Victoria Hill is New Westminster's most exclusive master planned community, featuring 40 acres of green space and natural amenities, and is located close to transportation, Queen’s Park, shops and restaurants. Open Sunday Sept9 2-4pm.